The current pension system in Ukraine does not meet the basic criteria: it does not provide a decent standard of living, is burdensome for the economy and does not encourage citizens’ private savings. Effective reforms are impossible under such a system. The only way out is a multilevel pension system, where citizens’ savings play the main role. However, this solution involves a number of risks. Experts tried to put across the importance of this issue during a discussion held at Ukraine Crisis Media Center. “It is not the performers but the system itself that cause the problem. The current system has really driven itself to a standstill. […] Worthy pensions cannot be ensured within just one solidarity system. All IMF requirements fit perfectly in a reform, but reform of the solidarity pension system. 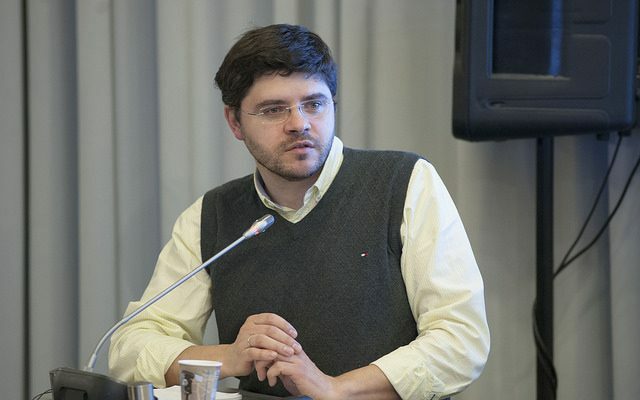 We should work at a system of workers’ mandatory individual retirement savings and voluntary private savings,” said Vitalii Melnychuk, expert of the Reanimation Package of Reforms, vice president of “Kinto” corporation. In the first case, contributions accumulate in the workers’ accounts; they are invested for profit and are paid as pensions. In the second case, such contributions are paid to pension funds, also invested and paid. In countries with developed multilevel system people can get several of such pensions. On the other hand, Ukraine may be unprepared for such a reform because of its institutional weakness and the state of economy. 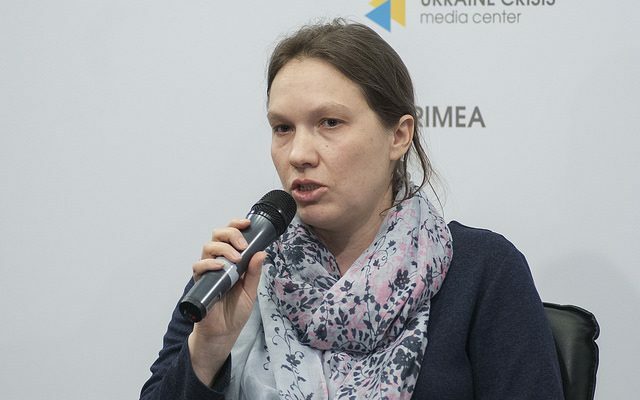 “Taking into account our present institutional development, the development of the stock market, which actually does not exist, we have to make order in the system of joint stock companies, minority rights, protection of property rights, the rule of law before implementing a mandatory funded system,” says Oleksandra Betlii, expert of the Institute for Economic Research and Policy Consulting. There are 30 effective private pension funds in Ukraine. These funds invest citizens’ contributions in deposits, bonds, metals, immovable property, stocks, etc., ensuring their safety through the diversification of investment sources. If the funds become public, under conditions of economic instability the state will always succumb to temptation to nationalize savings to solve its urgent problems. 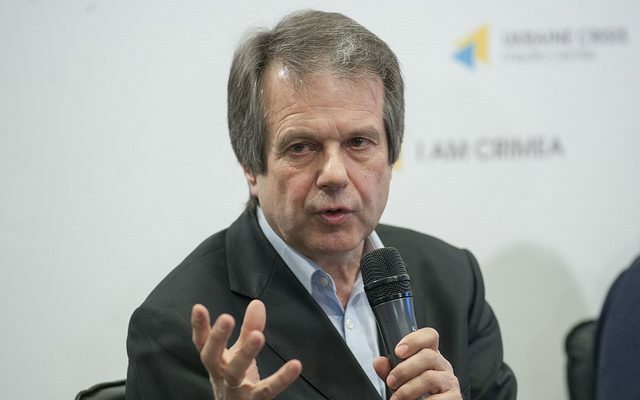 “For Ukraine, this risk also exists. Institutions are weak in the country. In the 1990’s, it often happened that there was no money for pensions because the state was trying to spend it for its other needs. The state is still too weak institutionally to resist temptation to plug the hole in the budget by the money from the pension fund,” noted Ms. Betlii. The current solidarity pension system can be facilitated through changes in related areas, such as improving working conditions, so that fewer people retire earlier. “The pension system is not operating in a vacuum. We must change the compulsory social insurance against industrial accidents and occupational illnesses. Insurance provides people with a certain living standard after the accident, but it does not encourage employers to invest in improving their working conditions,” emphasized Oleksandra Betlii. The Pension Fund should be deprived of its unusual functions and expenditures. “Contribution to the minimum age pension, the minimum pension payment, which is guaranteed in some cases, long-service pensions, all are paid now by the Pension Fund. 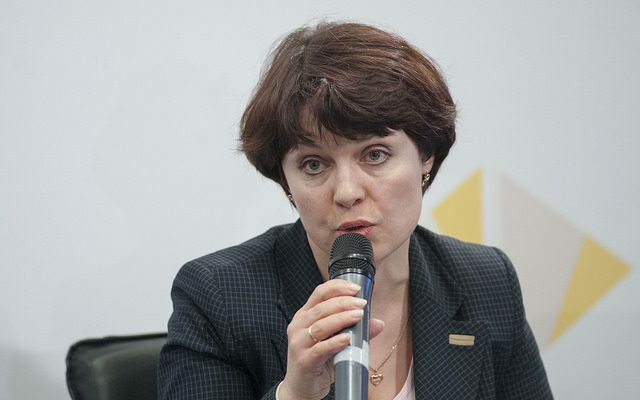 It is necessary to balance its budget,” stresses Iryna Kovpashko, director of pension issues department of Pension Fund of Ukraine.